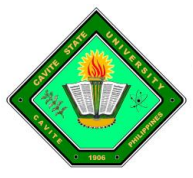 Windows7ako team goes to CvSU, where Eufer, Christopher, Rens Montanes and I will be their Resource Speaker. and Me (Erwin) discussed about Microsoft Office 2010 (New Features of Excel and PowerPoint 2010) Microsoft Math, DreamSpark and Imagine Cup. This entry was posted on Sunday, November 21st, 2010 at 3:23 pm	and posted in Talks. You can follow any responses to this entry through the RSS 2.0 feed.